This natural fencing and screening will enhance all gardens, patios and deckings. 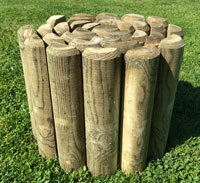 It can be used as boundary fencing or as screening to create separate areas within your garden. When used over arbours and pergolas it creates a soft shaded area beneath for those hot summer days. 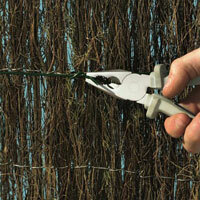 Simply attach to fence uprights with ties or staples. Ideal cover to chain link fencing. Can be used to screen unsightly areas such as compost heaps, rubbish bins, gas and oil tanks. Free delivery on orders over £39.99. 4 metres long x 1.6 metres high (13' 3" x 5' 3"). 4 metres long x 1.8 metres high (13' 3" x 5' 10"). 8 metres long x 1 metres high (26' 6" x 3' 3"). This bamboo sceen is delivered in two 4m x 1m bamboo screenging rolls. 4 metres long x 1.5 metres high (26' 6" x 5'). This bamboo sceen is delivered in two 4m x 1.5m bamboo screenging rolls. 8 metres long x 2 metres high (26' 3" x 6' 6"). This bamboo sceen is delivered in two 4m x 2m bamboo screenging rolls. 10 metres long x 1.5 metres high (32' 6" x 5'). This bamboo sceen is delivered in two 5m x 1.5m bamboo screenging rolls. 10 metres long x 2 metres high (32' 6" x 6' 6"). This bamboo sceen is delivered in two 5m x 2m bamboo screenging rolls. Bamboo slat screening ideal to use as a garden privacy screen. This bamboo slat screen is simple to attach using ties and garden staples. Bamboo slat screening ideal to use as a garden privacy screening. 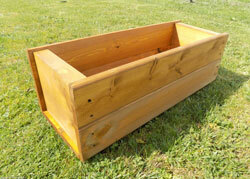 This bamboo slat screening is simple to attach using ties and garden staples. Bamboo slat screening ideal to use as a garden privacy fence screening. This bamboo slat screening is simple to attach using ties and garden staples. Bamboo slat screening is made from split bamboo canes which are securely fastened together with corrosion resistant galvanised wire. Each length of bamboo is a single slat, i.e. there are no joints in the vertical dimension thus making the screening strong enough to be used a fencing panel in its own right as long as secure fastenings are provided. Bamboo screening makes an authentic Japanese fence or Chinese fence and can be used for indoor screens or room dividers as well as outdoor border fences and garden room dividers. It can easily be made into extremely attractive and unusual garden gates. Equally it can easily made into bamboo blinds for windows (indoors or outdoors) or temporary walls for gazebos and other outdoor constructions. This material is ideally suited to providing a natural looking covering for unsightly walls, fences or even leggy hedges (such as neglected leylandii!). It can create an eco-friendly screen to divide areas of your garden so that not everything is seen in one glance, making the garden more attractive as guests will want to explore the parts they cannot see. Similarly a screen can be erected to hide an eyesore dustbins, compost heaps, old sheds and so on. A screen can be erected to provide a windbreak to shelter your patio or outdoor eating area, or to provide privacy screening from nearby roads, footpaths or houses. In an almost opposite application the screening can be used as a roofing material on gazebos and other structures to provide shade for sensitive plants or humans!